Nollywood is the third biggest movie industry in the world, behind Hollywood and Bollywood, with over hundred of movies produced in a month, in English language, Yoruba, Igbo, and Hausa majorly. Nollywood films are not just viewed by Nigerians but are viewed all over the world with movie stations dedicated to Nigerian movies such as Africa Magic, Nollywood Tv, Iroko Tv and others stations. Iroko TV is one of the biggest stations that give you unlimited access to Nollywood movies for free, as it is available online. This has made Iroko TV the most watch station when it comes to Nollywood movies all over the world. Also, Iroko Tv application is available for download giving you access to watch Nollywood movies on your mobile on the go. With the availability of the internet, many Nollywood fans can now have access to unlimited Nollywood movies on Iroko TV. This has made Nollywood movies available as foreigners can now get unlimited access to Nollywood movies and this has promoted the Nollywood actors as well as Nigerian culture to the world. There has been great appreciation for Nigerian movies all over the world as many of the Nollywood actors and actresses has become popular household names to foreigners as well as Nigerian. Also, this had created the opportunity for Nollywood to take their movies abroad and collaborate with international producers and movie makers. • Iroko TV: this is the most familiar place online where you can get unlimited access to Nigerian and Ghana movies for free. The platform is categorized into actors or movies and you can access any movie by pointing you mouse to any of the tab and a list of movies will appear as you select the one you would like to watch and click on enter. When you click on “All Movies” all movies available on the IrokoTV platform will be displayed and this is quite a number of movies. You can also run a search on any movie you are looking for and if the movie is available, it will be displayed for you to watch. • YouTube: YouTube is the largest online video streaming platform with varieties of videos, there is also a large collection of Nigerian and Ghana movies available on YouTube, as you have to search for the particular movie you want to view and simply type Nollywood on the search tab and a list of available Nollywood movie will appear. These are the best sites you can stream Nollywood and Ghanian movies online for free. 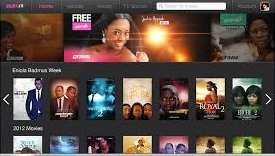 Nice information http://naijainfoblog.com I have been enjoying unlimited movies via iroko tv app for free.